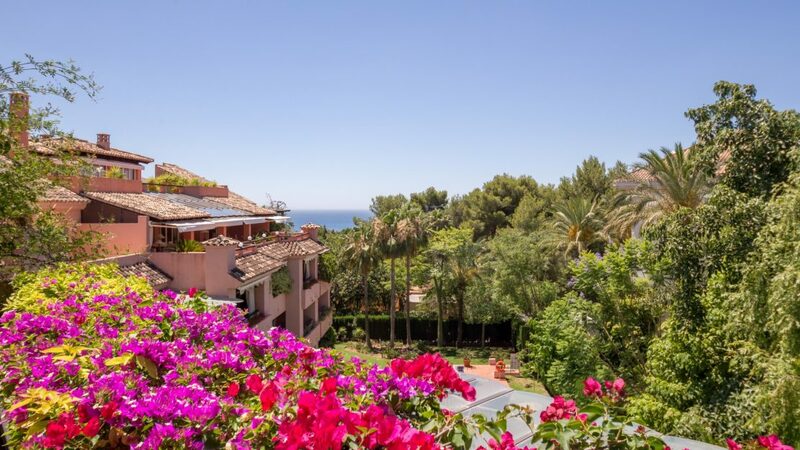 This completely refurbished duplex penthouse is located in the sought after residential area of Rocio de Nagüeles, near to the famous Buchinger fasting clinic in Marbella. The modern reform of this completely open plan master bedroom suite is second to none in this exclusive neighbourhood having the most amazing panoramic sea views along the coast, Gibraltar and Africa! The distribution has the main living and dining area adjacent to a covered terrace with sea views on the lower level, together with the ample modern kitchen, 2 bedrooms suites and the guest toilet. The lower level has a high quality wooden floor throughout. The upper level consists of a completely open plan approx. 80m2 master bedroom suite with dressing area, bedroom and shower, toilet and sink with LED lighting. From every part of the upper level a breathtaking view along the coast can be enjoyed, especially from the ample upper terrace with a South-Western orientation. The qualities of this ultra modern penthouse include A/C hot and cold, wooden flooring on lower level, double glazed windows, automatic electric shutters on the upper level, 2 garage spaces and one store room. 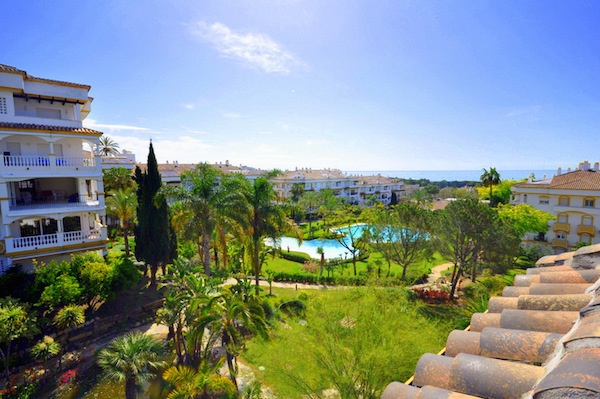 Please, send me more information about ref W-01S5Q9, Penthouse in Nagüeles, Marbella Golden Mile or similar properties.